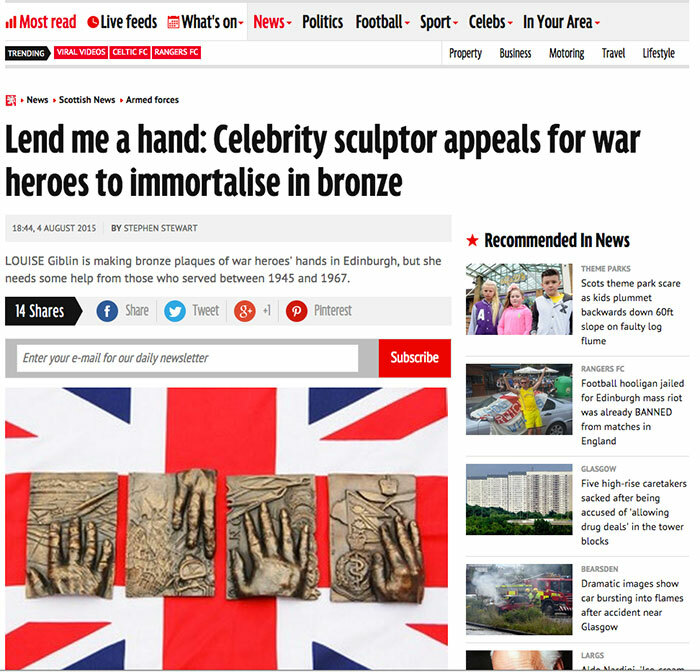 Louise Giblin is making bronze plaques of war heroes' hands in Urbane Art Gallery, Edinburgh, from those who served between 1945 and 1967. The two Scottish veterans have their hands cast for posterity by the sculptor. Each plaque is accompanied by details about each model, their choice of design and a quote. To read the article in full visit the Daily Record website here.